You look for painters coupons in the mail. Do professional painters send coupons? You ask friends to recommend a good painter. You hear hair-raising stories. “It was a beautiful job until he left the door open.” The dog had an itch and rubbed his rear-end on the wet trim. Or “The color was perfect only she tipped the small tray container of paint.” The paint ran down her shoulder, down the left side of her pants and into her boot. Then it overflowed her boot. Do you have a room that needs painting? Have you thought about painting it yourself? I love to paint and hope to convince you that you can love it too. Realize I’m not a professional paint, nor have I wanted to be. I have painted every room, garage, and closet including nooks and crannies of my last 4 homes. Plus rooms for clients. Wait did that make me a pro? Can we take a moment and admire that dollhouse? I want to design one for plants and decor. An average size room takes 3 gallons of paint. At $25 a gallon and supplies, you’re looking at around $100. Painting a room is the cheapest way to add a dramatic change. Hiring a professional painter can add $320 to $750 to your bill. Costs vary by location and season. So, let’s think about doing the project yourself. Click above to get your e-book delivered to your email instantly…for free. If you need extra tips for painting with a brush click here. 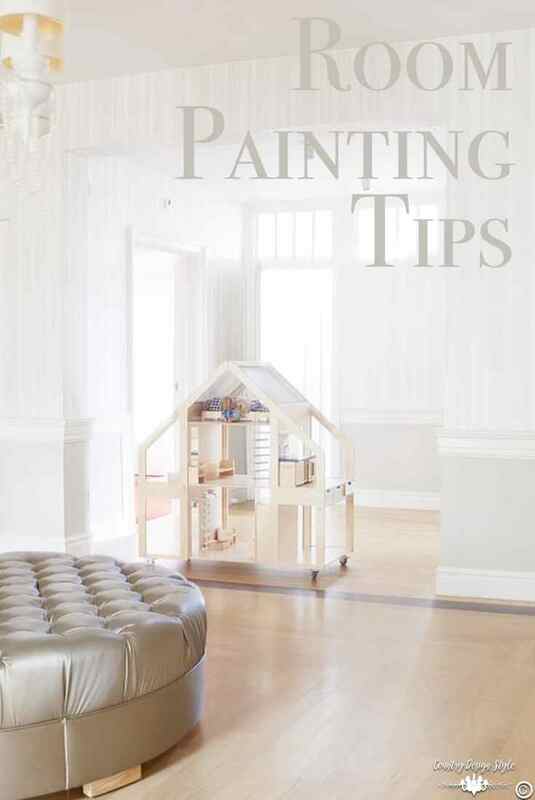 Let me know in comments below if you have additional room painting tips. I would love to share your tips too. I just returned from the mailbox and we got a coupon for windows and pizza! Huh.